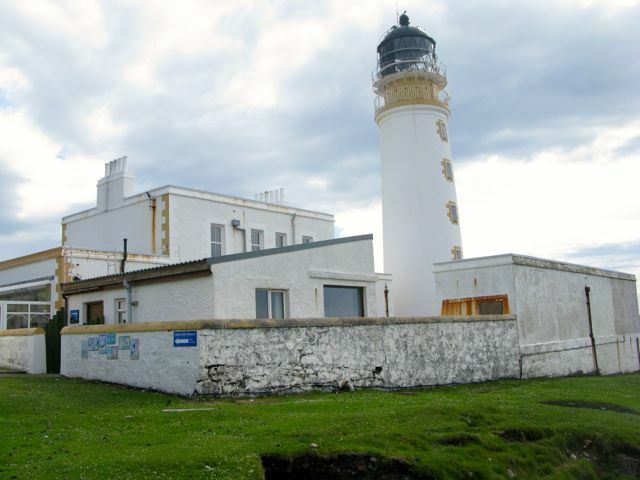 Today we went to visit the lighthouse at Rudha Reidh with the plan of having a look around and then looking for a spot to fish off the rocks there, as its right onto the open sea. The drive there was pretty exhilarating, high up above the sea at the tops of cliffs with amazing views. There were also some rickety bridges on the narrow road rated 7.5 tons, but looking a lot more fragile than that – I went over them with a boost of speed! Eventually we arrived at the lighthouse. The lighthouse is set in an incredibly remote location, over 10 miles from the town of Gairloch, with views out across the sea to the Outer Hebrides – it was amazing to see Lewis and Harris in the hazy mist on this bright day. It has recently come under new ownership, and there is hostel accomodation, a new visitors centre & observation room. 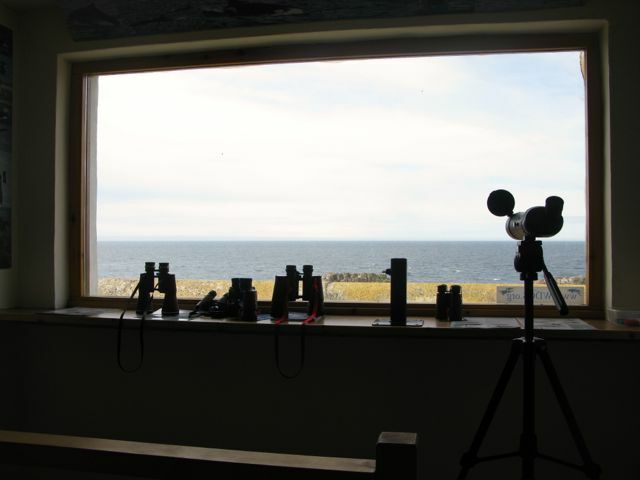 This room is really well set up, with a viewing platform, several pairs of binoculars, and a telescope. There are also many maps and charts on the walls as well as illustrations of the birds and sea creatures you might be likely to see. 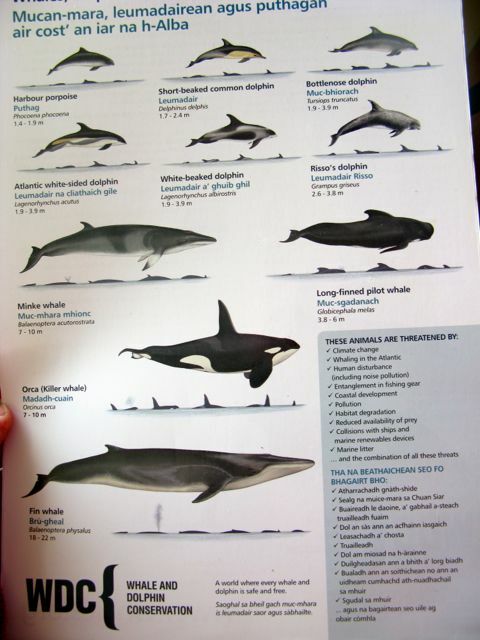 The best thing was a memo board where people can record their sightings, as on it was recorded Seals, many types of sea birds, Dolphins and even Orcas. After having a look around for a while we headed down to the rocks to try our hand at fishing. 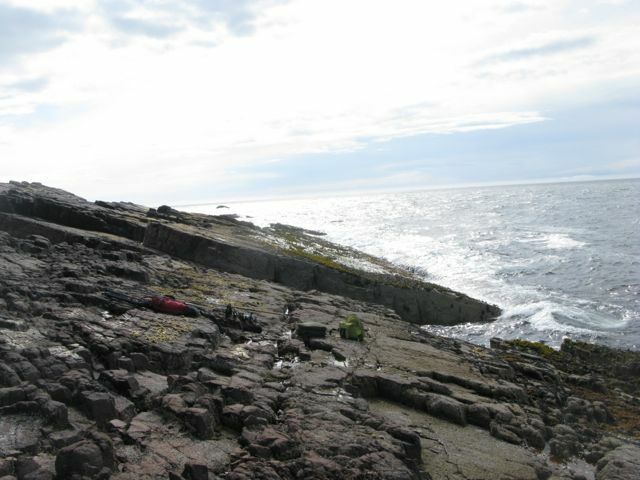 It was a location on a grand scale, with huge rocks and crevasses careering into the turbulent waves.